Whatever your market or the size of your shop, the need to have an eCommerce website is becoming more and more crucial. Having a website doesn’t mean becoming online-only; instead, it acts as a bridge for customers to use between online and offline, depending on their buying preferences and stage in the funnel. With the choice, they can browse and try products in your brick-and-mortar store before buying online, or do their research online and buy in-store — like 76% of us do, according to media agency UM. Where in the past, businesses relied on the precious skills of trained web designers and developers, platforms like Square Online Store have no monthly fee. You can quickly build a beautiful eCommerce website by dragging and dropping elements (no code required), then simply pay a low fee of 2.5% per transaction. With Square Online Store, your website will use an HTML format and mobile-friendly design that helps increase the chances of you being seen on Google. This is especially important, because as the Independent points out, UK small businesses risk missing out on billions of pounds worth of sales because their sites aren’t optimised for mobile. eCommerce websites offer a simple way to capture important data you can then use to build relationships with customers and drive sales. Collect that data by asking visitors to sign up for your email marketing list, or opt-in for marketing emails when they enter their details in the checkout. Square Online Store has an integrated email marketing campaign tool that helps you easily send a newsletter, invitation, product or service announcement, or just a quick update. 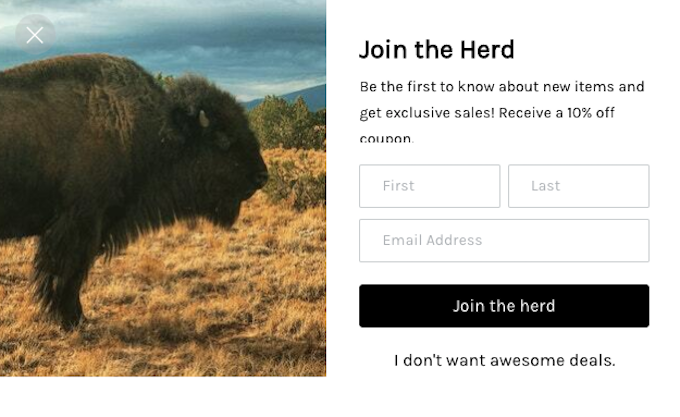 The Buffalo Co. uses a sign-up form to grow their email list. Having an online store also gives you a vehicle for collecting valuable data on product reviews, searches and favourites. This is insight you can’t easily extract when customers browse your physical shop. With Square Online Store analytics, you get reports on visitor, item, category and sales trends over time. Shoppers want to feel special, and having an eCommerce website allows you to learn what they like and customise the experience accordingly. Our own study found that customers were more than two times more likely to open and redeem a personalised birthday offer than they were other marketing emails. An eCommerce website offers you a chance to promote your business on a global scale, with no monthly costs. They also enable you to take advantage of extra marketing tools, like Square Gift Cards, which can be sent to anyone. So where before you may have only had the opportunity to target locals or tourists with your products, an online store gives you the power to sell to anybody, anywhere, at any time. 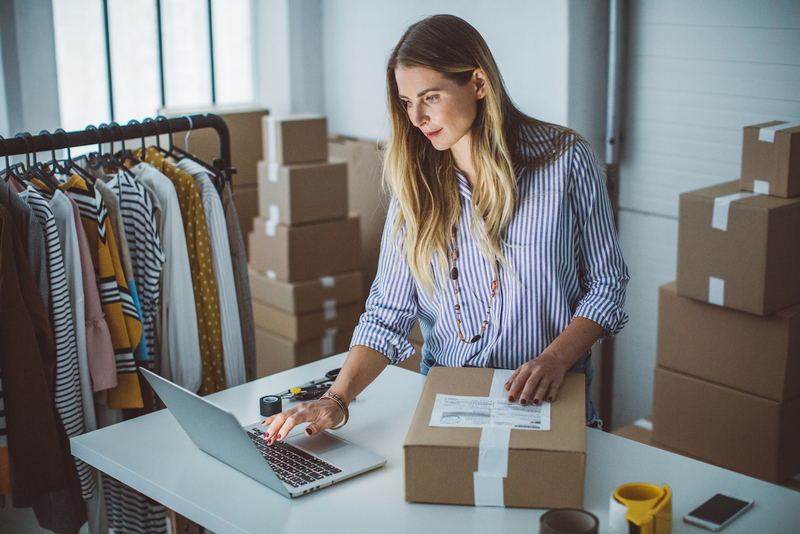 Finally, taking an omnichannel retail approach with an eCommerce website allows you to enhance the way you speak to your customers as well as how you sell to them. On your online store, you can include a contact form or chat feature that allows customers to get in touch as and when they need to without the limitation of opening hours. Ready to grow your business online? Get started free with Square Online Store.